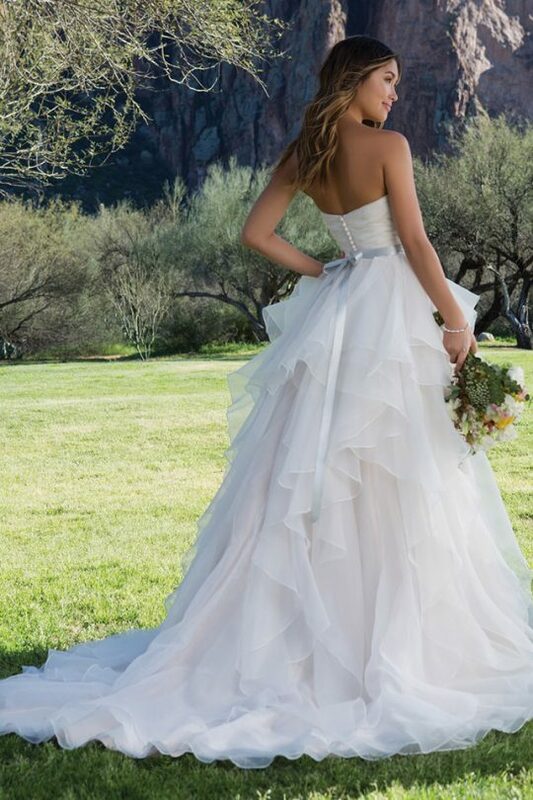 Stand out on your big day in this organza ball gown. The pleated organza sweetheart neckline is accented with a self-tie detachable belt. Layers of organza ruffles move down the skirt and train.